Since it was formed in 2000, Xlear Inc. (pronounced “clear”) has been recognized as the leading manufacturer of xylitol-based products in North America. The company’s goal is simple: to provide simple and cost-effective prevention so people can live healthy and fulfilling lives. 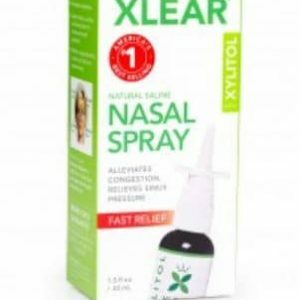 From the beginning, Xlear Inc. has been the industry leader in providing the newest innovations in drug-free sinus care through its Xlear brand. Xlear Inc. has also developed an oral care product line, branded as Spry. As a leading brand, Spry is dedicated to helping its users have a healthy smile and enabling them to live a happy, on-the-go lifestyle.